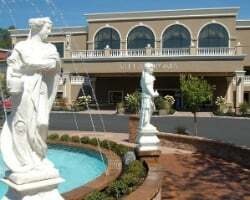 Nestled in the scenic New York Catskill Mountains, *Villa Roma Resort Lodges* is a great place to get away from it all, but with all the comforts of home and amenities that you would expect from a 5 star resort! Cool off in the pool, tee up on the golf course, rejuvenate yourself in the enchanted Esthetics Spa, or hit the slopes for some winter fun! 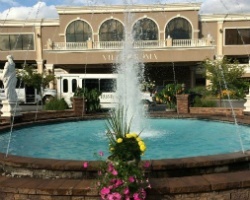 Whatever your idea of fun or relaxation, the Villa Roma Resort is right for you! 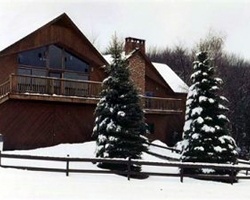 The property is an easy, scenic drive from most parts of the tri-state area. Great resort for exploring the surrounding area! Perfect for outdoor lovers! Week 35! Buyer may receive a title fee credit, inquire for details! Comfortable resort in the Catskill Mountains! Week 14 every year! Buyer may receive a title fee credit, inquire for details! Family friendly resort in the Catskills! Week 37! Buyer may receive a title fee credit, inquire for details! Vacation in the Catskills! Enjoy many onsite amenities! Week 27! Buyer may receive a title fee credit, inquire for details! Price Negotiable! All seasons resort in New York's Catskill Mountains! Yearly usage in floating week! Make your offer today! Annual usage during week 12 in exciting New York! 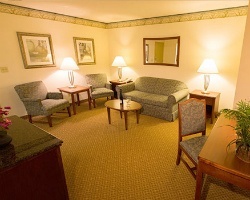 Many onsite amenities to enjoy! Buyer May Receive A Title Fee Credit, Inquire For Details! Vacation in New York during week 40 each year! Enjoy a variety of onsite amenities! Annual week 33! Suite is in Building 15, Unit 883/885! Maintenance fees are paid through 2016! Buy now and receive first year usage with sale! Buyer may receive a title fee credit, inquire for details! Newly renovated! Price is negotiable. Annual week 10! Short drive to NYC! Many onsite amenities! Buyer May Receive A Title Fee Credit, Inquire For Details! Enjoy various activities available nearby fro all ages! Buyer May Receive A Title Fee Credit, Inquire For Details! See also ad#2052749 & 2050042, buy all three for $1,500. Enjoy incredible mountain views ! Buyer may receive a title fee credit, inquire for details! Highly motivated seller! All reasonable offers may be considered! Sale includes1 banked Interval International week! Reduce price for a quick sale! Beautiful resort nestled in New York's Catskill mountains! Buyer may receive a title fee credit! Dues are up to date! Motivated Seller! Ideal resort located near skiing and the city. Buyer May Receive A Title Fee Credit, Inquire For Details! Family friendly resort! Fees are paid for this year. Buyer May Receive A Title Fee Credit, Inquire For Details! Enjoy winter wonderland. Dropped price for a quick sale! Only a short drive to New York City! Annual week 7 usage! Resort family fun for all ages! So many opportunities to make great memories! Price reduced for quick sale. Annual week 32 usage! Make An Offer!! Motivated Seller! Enjoy many nearby activities for all ages! Red season week 21 usage! Buyer may receive a title fee credit. 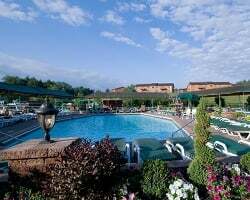 Family friendly resort in New York's Catskill Mountains! Annual week 24 usage! Buyer may receive a title fee credit, inquire for details!